Trevor’s Note: This post was contributed by my brother, Grant Morrow with the help of his fiancé, Kelsey Stricklin. They recently visited Nicaragua (a country that’s high on my list of places to visit in 2014) and stayed at Maderas Village, an ultra-laid back beach hotel where yoga, local food and incredible surfing attracts a diverse group of travelers looking to experience the lesser explored side of Central America. I thought it sounded incredible so I asked them to share the need-to-know info with you in an article on Trevor Morrow Travel. 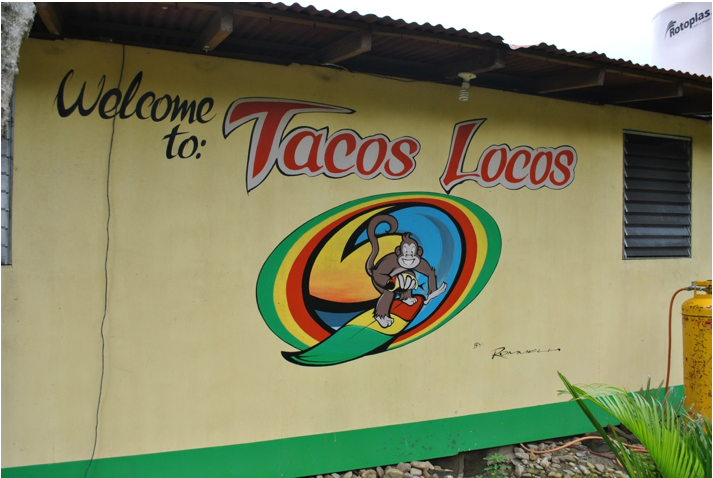 Located on a hillside above Maderas Beach on the Pacific coast of Nicaragua is a place that’s been described as a summer camp for adults and a retirement community for young people. 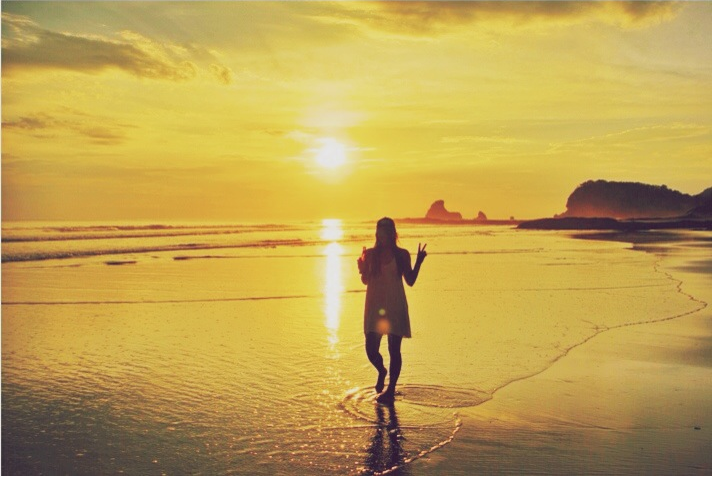 It’s a place where travelers in the know come to completely get away, surf, eat well and relax. This is Maderas Village. 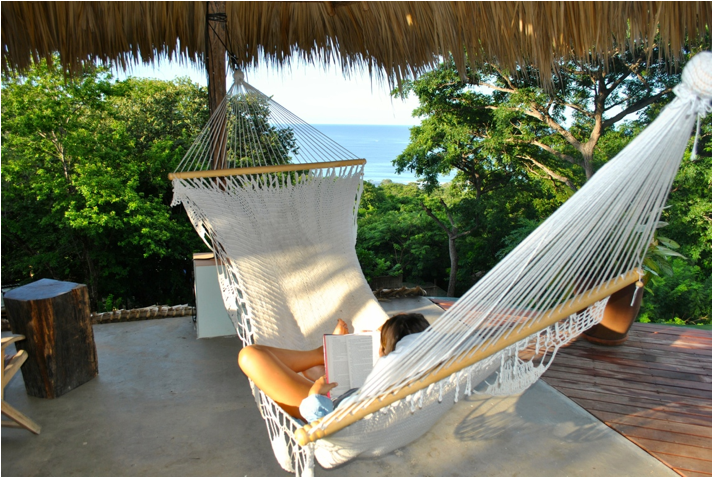 Maderas Village offers an array of options when it comes to places to lay your head and welcomes guests for however long they’d like to stay, from one night, to six months to forever. To suit a variety of different travelers, prices range from $20/night for a shared dorm-style room to $250/night for a private cottage (think Swiss Family Robinson) for you and up to nine of your closest friends. You can’t make a bad decision when it comes to lodging, but I recommend staying in the $125/night Penthouse. 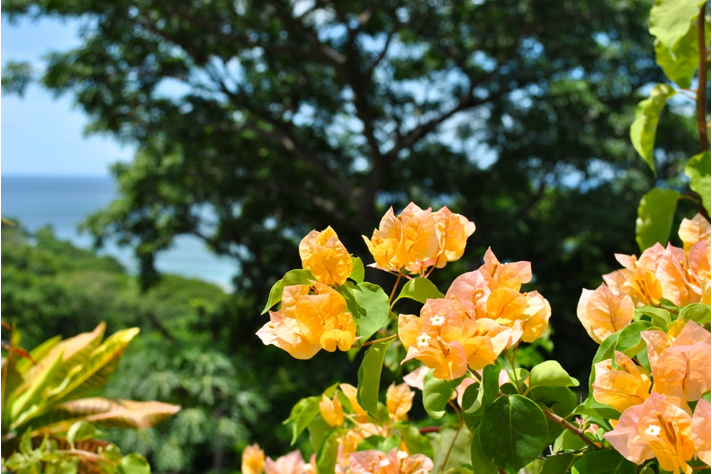 Located on the top floor of the Main House and amongst the treetops, it includes an unobstructed ocean view, a king bed, a private bathroom, yoga deck and lounge area. 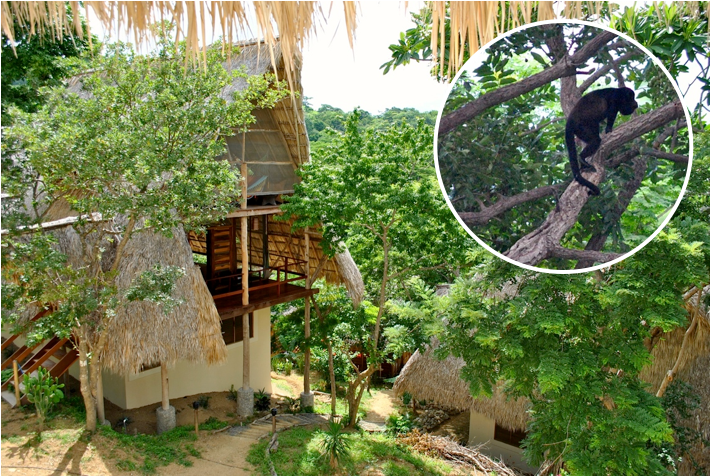 Be warned, there’s no air conditioning at Maderas Village (life is simple here), but the Penthouse is screened in, so just open your window shutters and let in the ocean breeze and the sounds of Howler monkeys in the distance. Hot water is also limited, but with the climate being what is it, you won’t wish for a hot shower. The vibe is why you’ve come all this way. 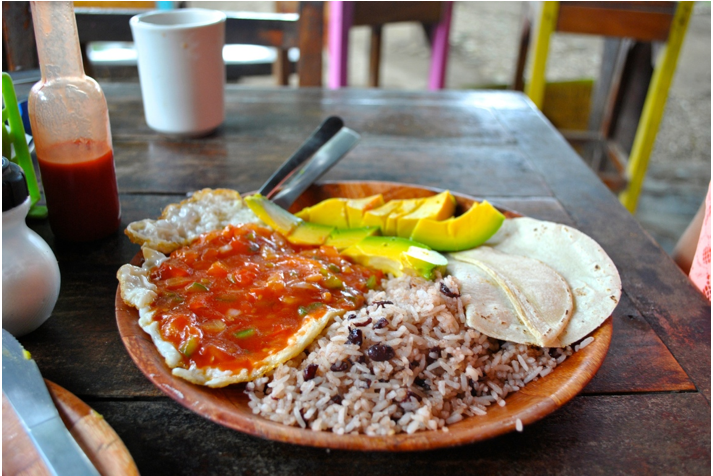 From the second you step foot in Maderas Village, you’ll feel welcomed and completely at ease. That’s probably because everyone is here for the exact same reason you are — to relax, enjoy life and have some fun. 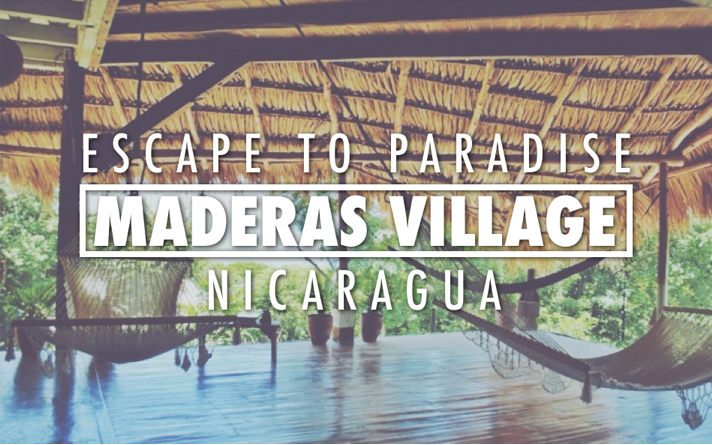 Maderas Village attracts all kinds of travelers, from those looking to escape the fast pace of American city life for a long weekend with their significant other (like me and my fiancé), to solo travelers and those just stopping by as part of their year long journey around the world. No matter who you are, you probably came here for the beach (aka Playa Maderas) which is just a five minute walk through the jungle from the hotel. 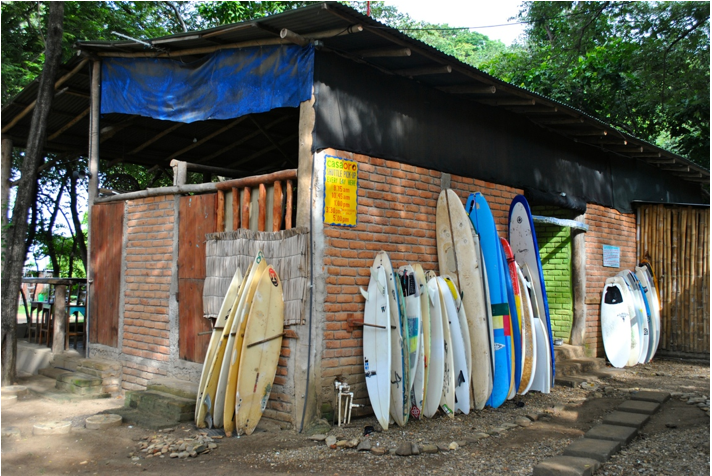 While there, three different surf shacks will provide all the essentials you’ll need for a prefect day; surfboard rentals, fresh food and cold beer. 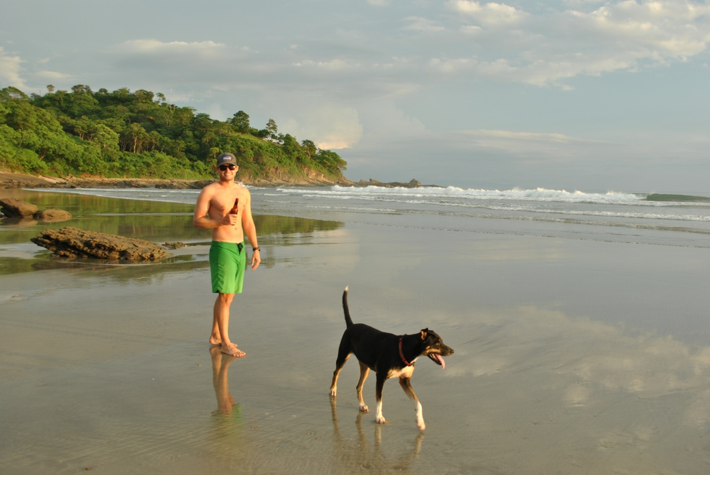 And if you need some more guidance on how to make the absolute most of your time, try this itinerary: surf, eat, nap, walk the beach, repeat. It worked well for me. Share good stories and laughs with new friends at the hotel’s nightly communal dinner (about $10 per person). Sounds pretty good, right? I didn’t want to leave and neither will you. But when it comes time to catch your plane back to reality or continue your journey around the world, it may be easy to think you spent the past few days dreaming. You weren’t. 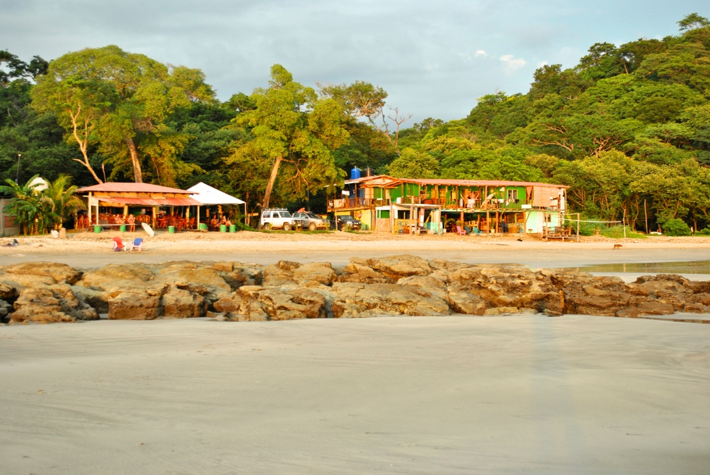 Maderas Village is a real treasure of a place, full of amazing people, consistent surf and positive energy. So next time, just book your trip for twice as long. I know I will. 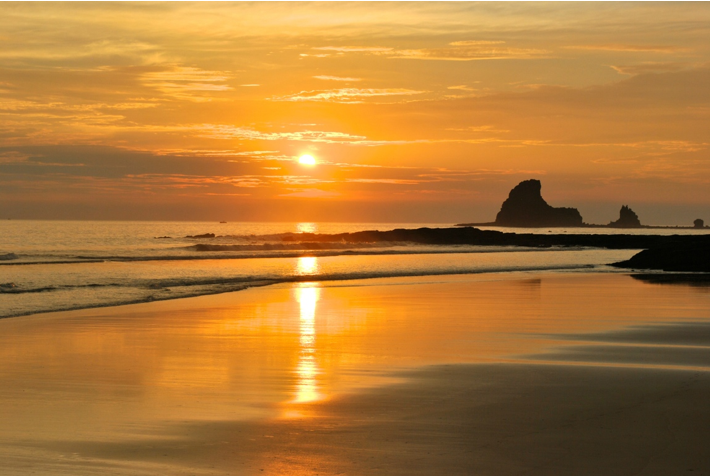 Book your flight to Nicaragua’s capital city of Managua (airport code MGA). Once you arrive you’ll be greeted inside the terminal by your friendly driver (arranged by Maderas Village for $100) and then set out on a two-hour private ride to paradise. Hi Trevor! Do you have a number to reach them for reservations? I’ve tried emailing them, but haven’t received a response yet. Thanks!